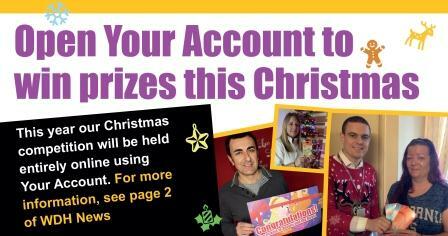 We’re launching this year’s Christmas Competition early – so everyone has plenty of time to sign up for ‘Your Account’ and take part! Starting on 1 December, every day we will hide a Christmas symbol somewhere in Your Account. All you have to do is log in, find the symbol and click on it. 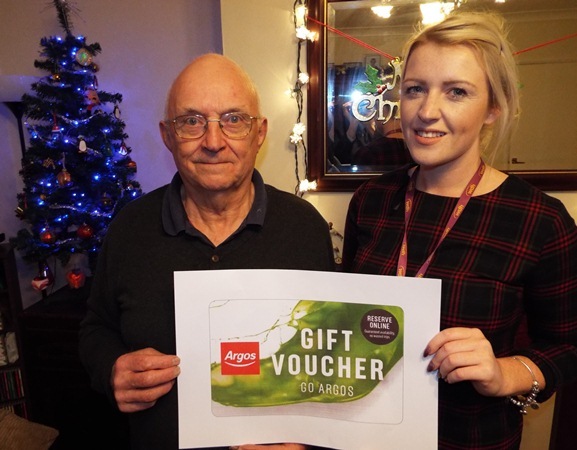 You’ll automatically be entered into the draw to win one of our many wonderful Christmas prizes. We’ll draw a prize winner every day from 1 December to 23, and for every day you enter your name will be added into the hat to win an iPad on Christmas Eve. So the more days you play, the more chance you have to win our top prize! We won’t reveal which present has been won until the competition closes each day – but remember, if you play all 23 days then you’ll have 23 chances to win the iPad! 1. 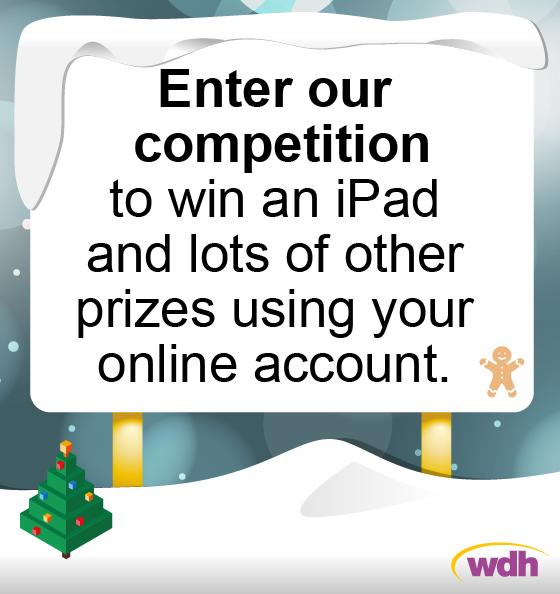 Visit www.wdh.co.uk and log into ‘Your Account’. If you do not have a ‘Your Account’, you can register by clicking the Register now button and providing a few basic details. It only takes a couple of minutes. 2. Once you’re logged into to ‘Your Account’ you should see a clue to where the Christmas symbol is hiding. HINT: It will be in one of the sections on the left hand side. 3. Find the symbol and click on it. This will automatically enter you into the daily prize draw. 4. Repeat every day until 23 December. The winner of the iPad will be drawn on Christmas Eve. Get started and register! 1. Entrants must be registered as living in a WDH property (only named tenants and occupiers are eligible). 2. You can enter as many days as you like. On 24 December all valid entries received will be counted for the iPad draw. 3. The competition will begin automatically at 00.00am each day, and end automatically at 11.59pm the same day. 4. Winners must be contactable within 24 hours of the daily competition closing and MUST agree to publicity to claim their prize. For full terms and conditions, see ‘competition terms and conditions’. If you need support to use Your Account, contact our Engagement Team on 01977 724699.